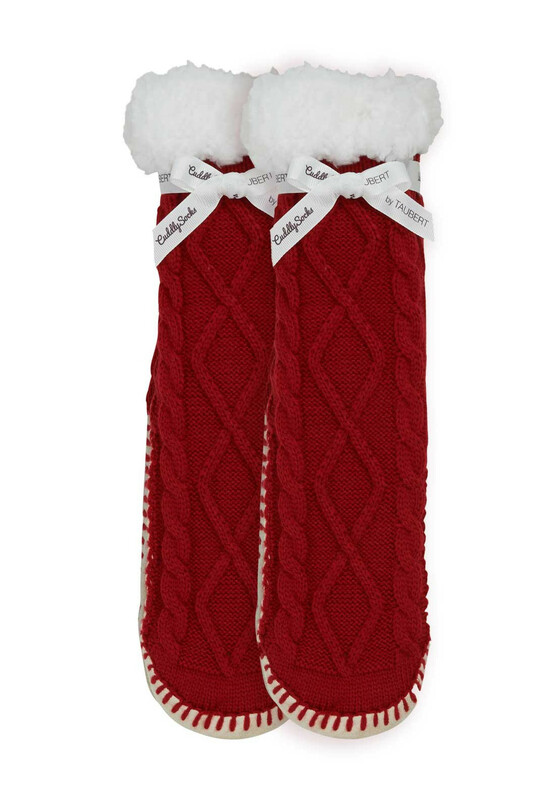 Taubert present these festive inspired red slipper socks which will keep your feet warm and cosy during colder months. Crafted from soft cable knit fabric with a contrasting white fleece lining. 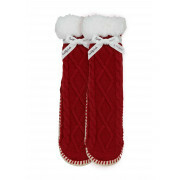 A rubber trimmed flexible sole adds extra grip.